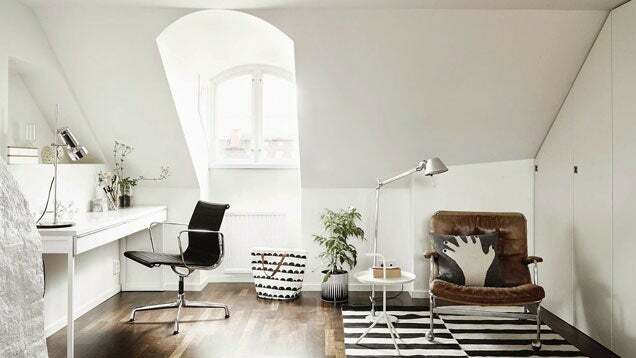 This mostly white workspace with black and natural accents is refreshingly light and minimalist — without being boring. There's a lot of personality in the little choices: the accent pillow and striped rug, and even the black and white planter. Posted on Lush X Lofts, this office exemplifies the clean and simple aesthetic of Scandinavian design.